Each day brings us closer to turning the tide against poaching, and each rhino that we save notches another victory thanks in part to the groundswell of citizen activism and participation in conservation. Thanks to you. We have a long road to go before the battle is won. Having served in the police force for many years, our pilot Brad has developed a strong passion for working in the bush. Healthy and safe, our white rhino rejoins his party. Getting on with the job - the antipoaching helicopter moves along to the next objective. 5 am. Autumn in the Kruger National Park. The piercing rattle of a metal spoon against a frying pan echoes through the camp, bringing with it the promise of an unforgettable experience. The dawn air is fresh, gently fragranced with smoldering coals from the night before. Guests emerge from their tents and ready themselves to embark on a rhino capture exercise out in the Kruger Park. Unfenced and unfiltered; theirs is a front-row view of a most exhilarating and sobering event, conducted by a team of consummate and dedicated professionals. An early morning game drive delivers the barely-woke guest to the rendezvous point where they will meet with the group of rangers and response teams. This is the softer side to the anti-poaching campaign; an access point for citizens to embrace, learn and spread awareness. It’s where all aspects of the conservation movement come together; the honorary rangers, the ranger corps, veterinary and conservation professionals, and the public. For the average person though, it is a very rare opportunity for a close and personal encounter with a rhino in its natural habitat. The chance to enjoy a thrilling low flying helicopter sweep over the park is equally attractive. 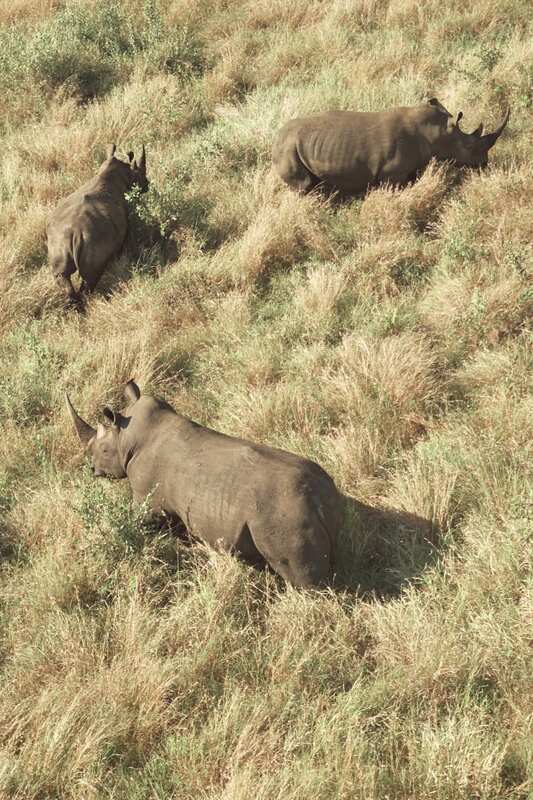 To capture a rhino, an aerial search is conducted to find a suitable candidate. When located, the rhino is darted with a specially formulated morphine derivative which immobilizes without rendering it unconscious. Once in full effect, the drug will give the team up to one hour to work on the animal. 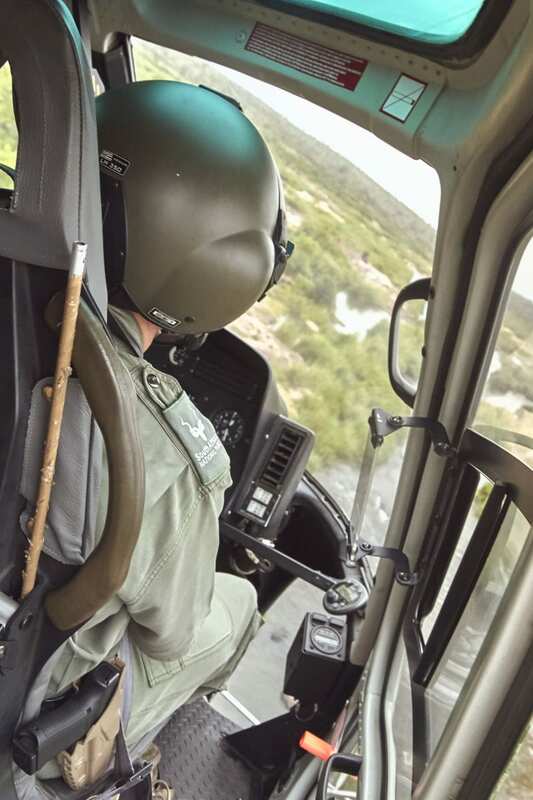 It can take several minutes for the rhino to fully metabolize the drug, during which the helicopter pilot executes precision low-flying maneuvers, guiding the animal ever closer to an access point where the response team and guests can approach it safely and expediently. For first-time participants this situation is quite breathtaking; the noise and turbulence of created by a helicopter in combination with a distressed and drowsy animal trying desperately to evade capture. 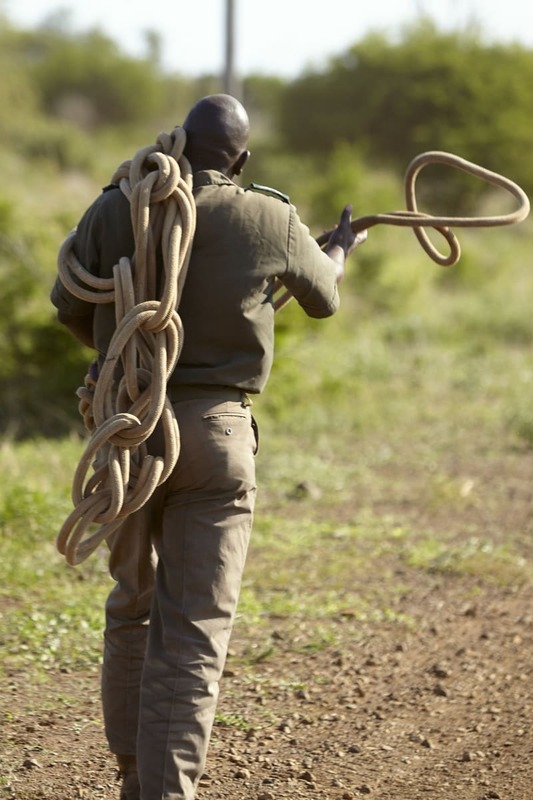 Many hands are involved in ensuring the health and well being of both the humans and the animals of the Kruger Park. The tagging and veterinary procedures commence immediately as time is of the essence. A prolonged state of immobility can compromise organ function particularly the rhinos capacity to regulate its body temperature. The guests are invited to explore the scene and come into contact with the rhino. Very little can prepare one for that first touch; the gritty, leathery heaving body of a sedated rhino can be overwhelming. It is the texture of a natural beauty, of raw power and ultimately one of immense vulnerability. It is not long before we must all withdraw from the scene, and return to the safety of the vehicles. A somewhat unsteady and disorientated rhino gages her surrounds in an attempt to decode the foreign shapes, scents and sounds. Many tear-filled eyes stare on in awe, as some marvel in the beauty of the beast, yet others come to terms with its fragility and role we as a species have played in determining the fate of this animal. We can draw much hope from these encounters. For one, the funds raised by such eco-tourism initiatives are invaluable, and furthermore, participants gain unique insight and are well positioned to spread the awareness of anti-poaching and conservation efforts in general. Around the country, various reserves and parks offer similar encounter opportunities. They are hugely beneficial to the ongoing management and protection of endangered species and well worth looking into. A carefully measured dose of etophene ensures the rhino is sufficiently sedated while the vets attend to it. Blood and DNA samples are taken. Veterinary services performing tests, taking samples and providing the rhino with fluids during its state of immobility. The rhino retains its sense of smell, sight, and hearing. So precautionary measures are taken to ensure the animal's comfort and safety. The first touch. Very little can prepare you for it. I offer sincere gratitude and the greatest respect to the faithful servants of conservation; the rangers, pilots, veterinary doctors, and the highly skilled support crew who have afforded me the opportunity to create this story. The first rays of the morning sun spill over onto the Mokhohlolo dam. A photographer, husband, father, vinyl junkie and wannabe DJ. I live in Cape Town, South Africa. Work all around the country and as far abroad as my work takes me. Over the years I've photographed people, places, food, wildlife. I really enjoy portraiture, as this is the type of photography that challenges both the subject and the creative to create a result that each can take equal ownership of.